Amidst the ongoing effort by countries to assert their presence in the far North (note: I’m careful to use the word ‘presence’, not ‘claim’ or ‘sovereignty’), a little gem was issued this weekend by Canada’s Governor-General, David Johnston. Johnston was interviewed by Toronto’s Globe and Mail, following his recent visit to Alert, Nunavut. 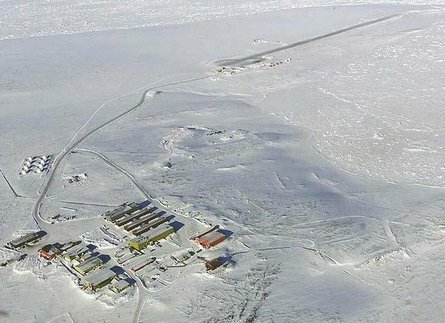 Just over 500 miles from the North Pole, the Canadian military/research station is the world’s most northerly permanently inhabited settlement. First of all, I was trying to figure out what was land and what was sea. And I still find that confusing in terms of the North Pole and our land claims and the extension of the continental shelf underneath. I suppose you have a little better sense of that during the daylight time of year. Governor-General Johnston is the Queen’s representative in Canada, so he’s the ceremonial representative of a ceremonial head of (another) state. In short, he holds an honorary post and his pronouncements are certainly not official policy. Still, his admission of ‘confusion’ about something that’s so important to the Canadian government as the foundational basis of its sovereignty (and in the North, at that!) is a bit surprising. But of course Governor-General Johnston is reproducing a long-held confusion regarding what is land and what is (frozen) water at the poles. This problem has long beguiled polar explorers and those who would use (visual) knowledge of the polar regions to affirm state power, as has been chronicled in writings by Urban Wråkberg and Kathryn Yusoff, among others. Furthermore, a reading of works by Wråkberg and Yusoff suggests that Governor-General Johnston’s hope that daylight will clear up his confusion (and facilitate state territorialisation by drawing firm boundaries between land, water, and sky) is misguided. At the poles, light can make boundaries blurrier. That said, from the Canadian perspective the blurring of boundaries between land and frozen water is not necessarily a bad thing: As I’ve noted elsewhere, this blurring is frequently used by the Canadian government to justify the incorporation of archipelagic waters within the state’s insular territory. The other interesting aspect of Johnston’s statement is the way he joins the confusion between land and water in the North with the confusion between land and seabed that complicates narratives of the outer continental shelf delimitation process (in the North and elsewhere). All of this points to a central thesis that underpins much of my work: the ways in which the indeterminate geophysics of both polar and maritime regions frustrate the binary categories of territory and non-territory. Of sea turned the color of ice. Governor-General Johnston would probably take issue with the dystopic North presented in ‘Another New World’. But in the song’s sublime alterity – in its construction of the North as a mythic space to dream with – there’s an eerie complementarity between ‘one vast glassy desert of arsenic white’ and ‘the true North strong and free’. 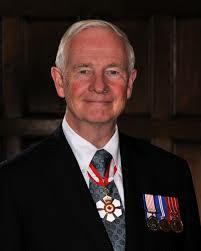 Phil Steinberg picks up nicely an observation by a Canadian Governor General. As G-G Johnston remarked, “First of all, I was trying to figure out what was land and what was sea. And I still find that confusing in terms of the North Pole and our land claims and the extension of the continental shelf underneath”.